Avoid the madness. 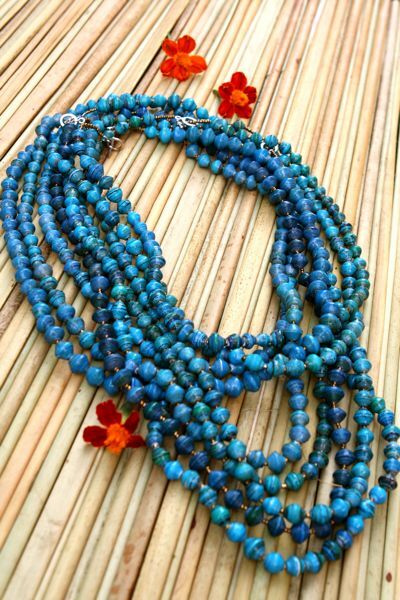 Shop online and buy beautiful handmade jewelry from Uganda that saves a woman's life. Now you can spend Black Friday in the comfort of your own home buying beautiful gifts that mean something for your family and friends online. And what makes this even more special, is you are saving a woman from a life of forced prostitution and giving her a job with each piece of jewelry you buy! Right now shipping is FREE! So BUY today and change her life! Be sure to "like" and share with your friends! WEAR A NECKLACE. SHARE HER STORY. I've been thinking about what Bill Johnson likes to call the “rhythm of rest.” The seasons of work and rest and how important they are. And not just rest, as in watching our favorite tv show, but resting in God and gaining refreshment. I find that even when I am alone with God, that thoughts and “to do” lists and worries and concerns can crowd out my time with Him. Sometimes I literally have to write out all the things that are bothering me before I can get quiet before God. How often am I really “resting” in His presence? How often am I really thankful? How often am I present? Not thinking about the past or the future, but just soaking in the here and now. Sadly, I fail a lot. Rest is not something that comes easy to our Western perfectionist culture. Our insecurities and our need to be needed, and our unswerving belief that if we miss a day of work things simply cannot go on without us often leave us tightly wound to the point that we can actually feel our shoulders tensing with stress. People don't do what you want them to. Budgets need to be reconciled. Children fed. Bills paid. It can get overwhelming. I think maybe that's why I think prayer is so brave. Because it is a surrender. Holding up a tiny white flag. The act of not doing, in order to accomplish something miraculous. Because its telling God we are tired of fighting and we want Him to fight for us. I never realized before how closely related are the orphan spirit and a spirit of poverty. But each has to do and to plan because there is a lack of trust in God. The orphan spirit says I have to be busy, because it shows people I'm important. If I don't do it, it won't get done. The spirit of poverty says that I am never satisfied. I need to get all I can today, even at the risk of hurting others, because who knows if tomorrow I will go hungry. I've realized lately that many of our women and girls who have been so brave to leave a life of prostitution and start over, are still operating under a poverty of spirit. Like children who are scared they won't be fed again, they grab at loaves of bread, eat them without swallowing and then beg for more. It can be frustrating, until you understand...its not their fault. It's what life has done to them. Taught them. It's what experience has proven over and over in their life before God and its not so easy to lose control and let go. At first, it can be easy to judge them and wonder why they aren't always grateful for the ways we pour out our lives for them, or teach them, or give them employment. And most times they are grateful..its just that there is this insatiable need for more. But then I think about us and how we run around as orphans thinking we will make Daddy proud if only we do more, accomplish more, or make other people notice us. We struggle with the same lack of trust just under a different label. I for one, am tired of that. It's great to do good things. I'm not saying we should all sit in our lazy-boy chairs and do nothing forever, but I do think that sounds really nice right now. The poor, no matter their issues, are blessed, because they will see God. Because they are desperate for Him. And He always shows up for the desperate. And I want to be right there with them. Do I trust God enough that if I stop trying to do everything, He will still show up for me? I think that's the deepest question I have to ask myself. Someday, I'd like to move to Italy for a little while and learn from how they live. Less concerned with time. More concerned with food. And somewhere deep inside maybe I will undoubtedly believe that He loves me just as I am. Even if all I do is eat pizza. We're teaching our women this week on the importance of thanksgiving. I was thinking about it and I think that being thankful is really just being happy with what you have, and content regardless of your circumstances. To be grateful that even though you just had malaria, at least you are not that little baby you heard about dying from it because her parents couldn't afford the medication. A medication that literally costs a few bucks. We give God our sacrifice of thanksgiving when we praise Him no matter what life looks like right now. We are thankful. Because He loves us. Because our greatest worry is not where the next meal is going to come from. Because we are blessed. Because finally we can rest. And all around the world, hands are clasped, and heads are bowed, in offering. *I am slowly getting better from my bout with malaria thanks to my husband, you're the man, babe. Our women have been busy making beautiful jewelry just in time for the gift-giving season. This Christmas, give a gift that makes a difference. Invite your girlfriends over for a fun night of Christmas-cookie making or wine and cheese, and SHOPPING for a good cause. 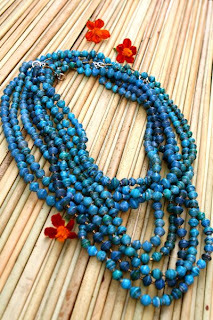 Every necklace that is sold saves a woman from being sexually exploited and gives her a job to help her rise out of poverty. Do it today! Email beads@zionproject.org to get your beads in the mail!